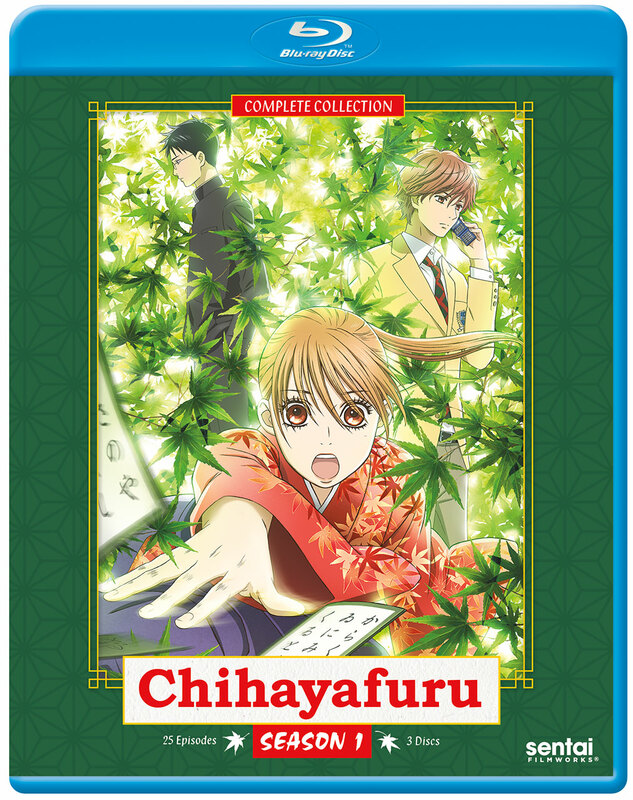 Chihayafuru contains episodes 1-25 of Season 1. This series is proof that any subject can be compelling if properly dramatized through a narrative. It takes a game that would ordinarily be considered foreign and dull to western audiences and makes it incredibly engaging. This series is very bingeworthy and has high replay value. There is also practically no fanservice whatsoever. The dub cast is also excellent, with Luci Christian really getting a chance to shine as Chihaya. I can't praise it enough, 10/10. Can't wait for Season 2. Chihayafuru is one of the most emotionally affecting anime series I've watched. The gorgeous orchestral soundtrack consistently soars over scenes demonstrating the spirit of competition, determination to never give up, budding friendships, learning to trust teammates, and finding love, both for others and for a sport that you can't get enough of. Rewatching the series on blu-ray, I found myself tearing up with almost every episode, partly because I'm so emotionally attached to the characters, but also because the extra bit of audio quality here compared to the streamed versions makes all the difference when the orchestra swells and pulls at your heart strings. The English dub is also quite good, with fantastic explanations of the game of karuta and translations of the poems which are central to the game itself. The chanting of the poems is still done in Japanese, as it really wouldn't work in English, and this presentation works incredibly well.